Your coffees are generally quite dull. Just admit it. We’ll bet you even leave the spoon in the mug, what’s with that? Have some pride in your coffee; you are an artist in a world that doesn’t understand you. Finally, you can dip into your idea bank of latte foam designs, and put them into action – using the right tool for the job! 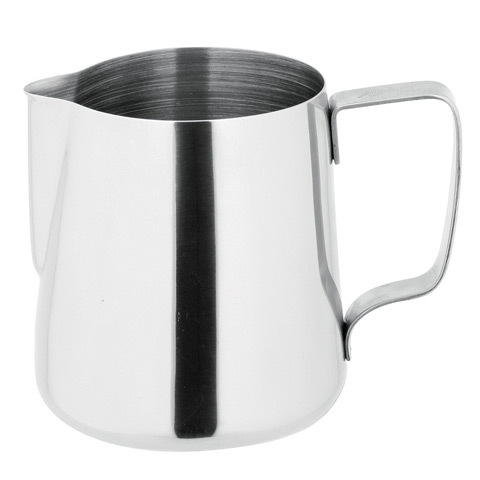 This Avanti Steaming Milk Pitcher is made from 18/10 stainless steel. It looks good, and cleans up easily, and really gives a latte its oomph. Otherwise you’re stuck just drinking a mug of boiling ugliness. And we advise against that.